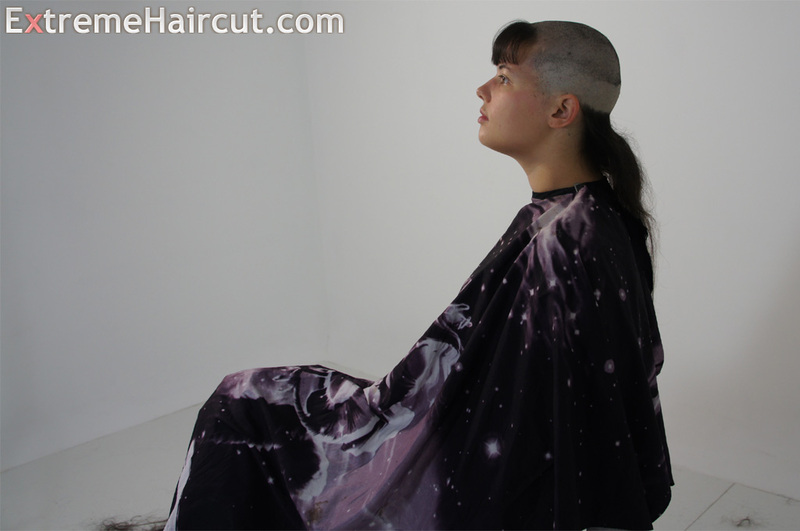 Dorothy the artist girl falled into deep creative crisis and needed new inspiration. 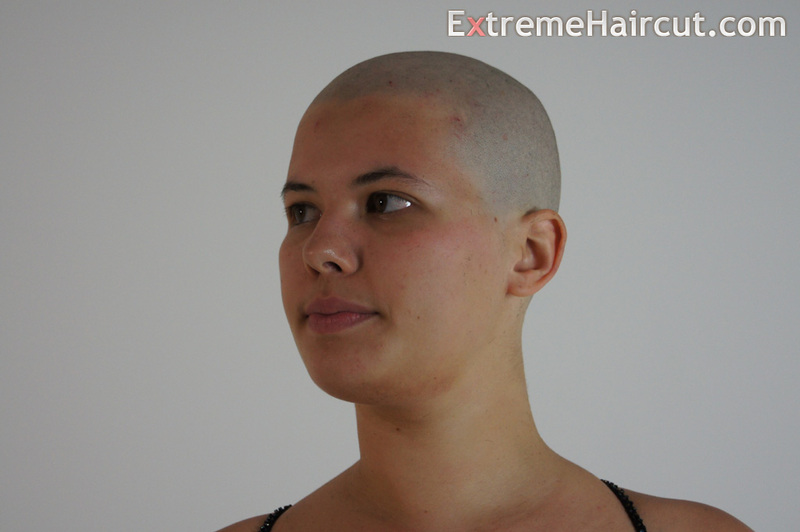 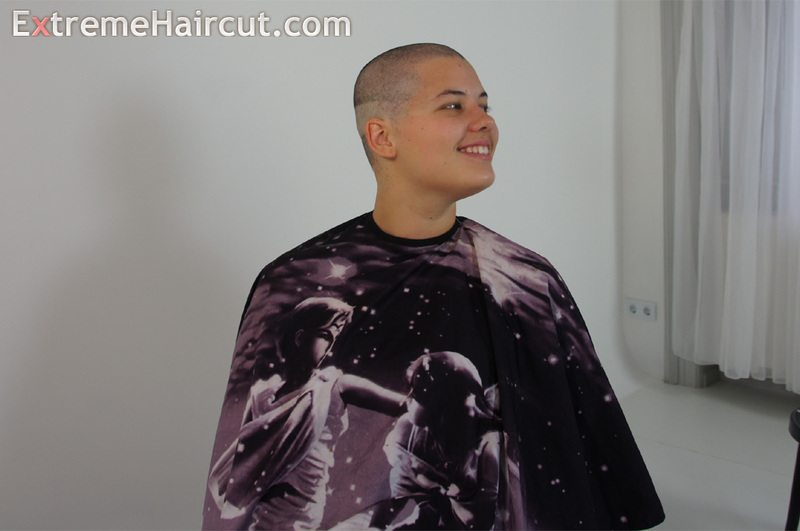 She thought being bald is a good idea for new experiences, new emotions and new ideas for her art. 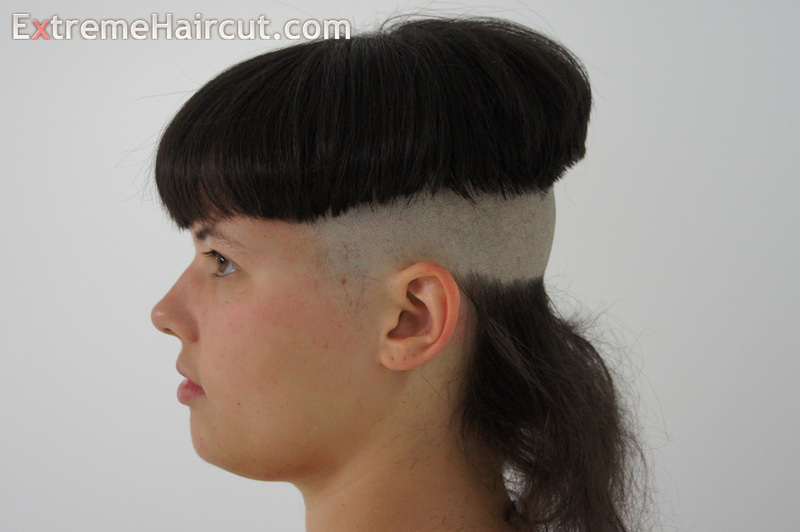 We are not in creative crisis so we cut her a 2-in-1 bowl-mullet hair with a thick shaved strip in the middle. 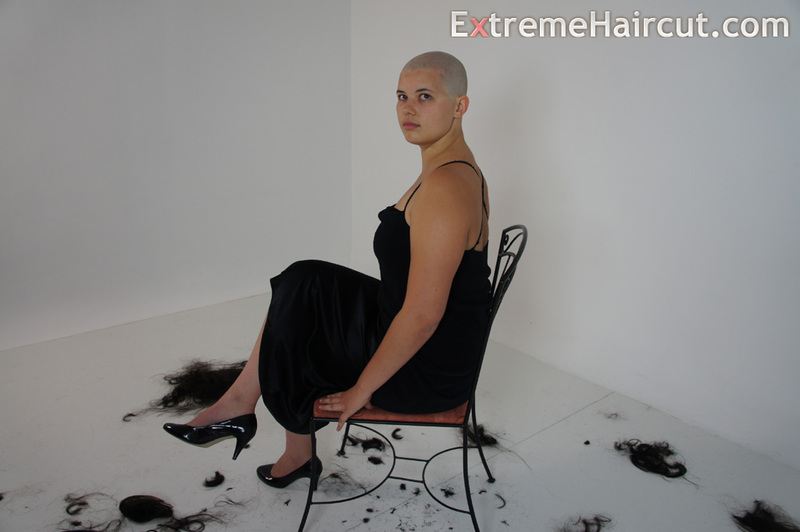 Then destroied this style and we shaved her black thick hair to bald. 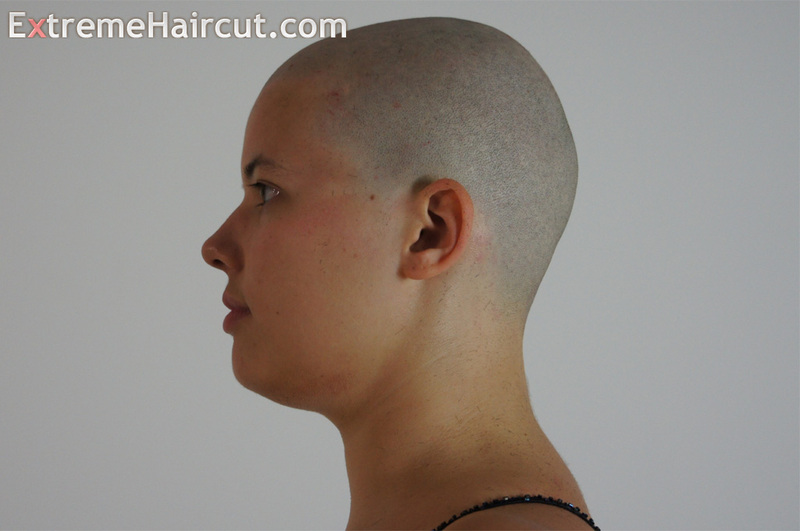 Durring the hair destroying process we cut her a classic 'shaved the top' monk style and a 'bangs only' chelsea style. 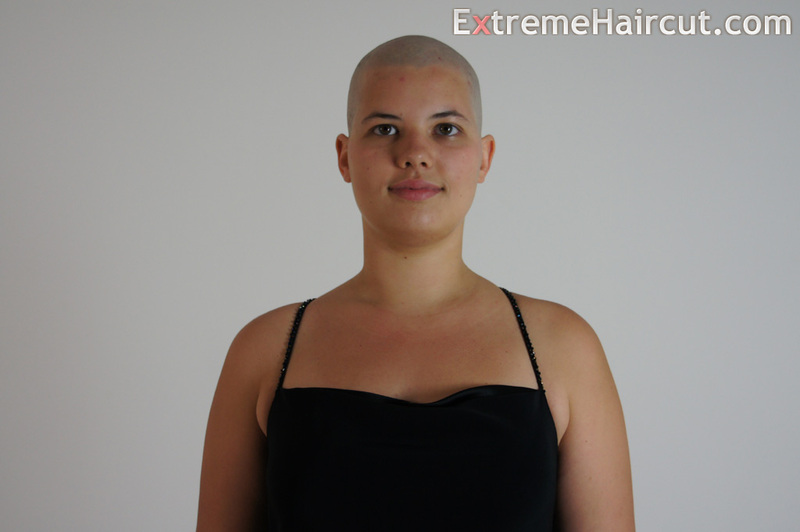 Follow, like or link in with us on social media. 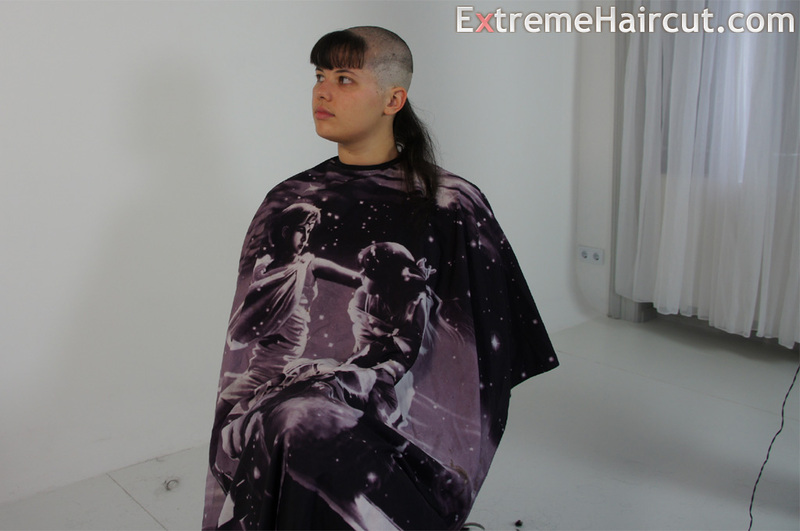 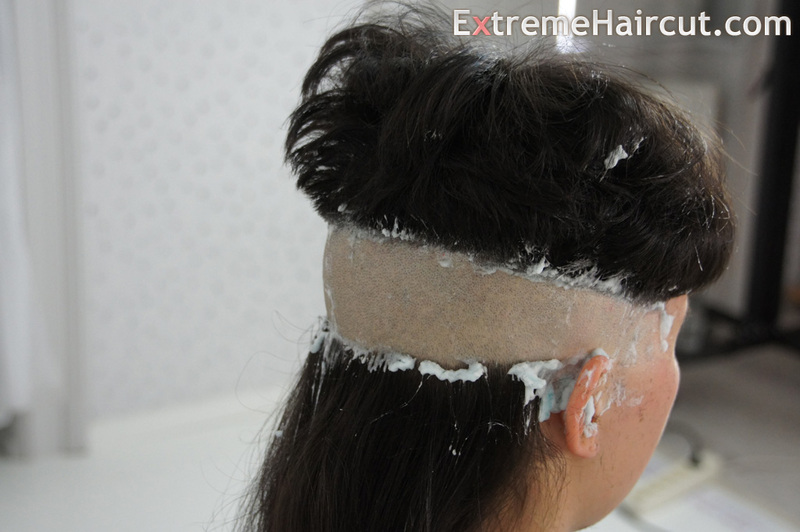 ExtremeHaircut.Com, this site are copyrighted 2004-2019. 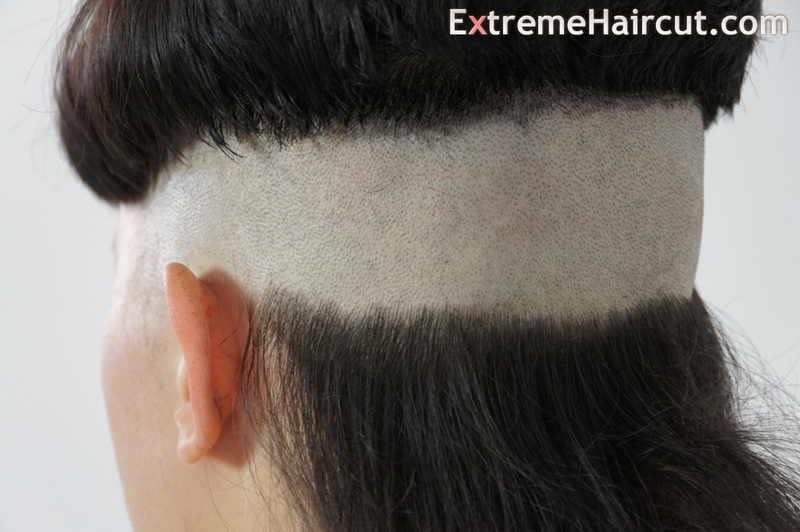 Commercial reproduction, distribution or transmission of any part or parts of this website or any information contained therein by any means whatsoever without the prior written permission of ExtremeHaircut.com is not permitted.